No one’s perfect. I say that as a disclaimer – there’s no doubt that within this blog and in past examples of my writing, you will find mistakes – we’re all human. However, there is no excuse for flagrant misuse of grammar and punctuation, particularly if you’re a business. When I was studying Journalism at Dublin City University, one of our lecturers insisted that we all read Eat, Shoots & Leaves by Lynn Truss at the beginning of our first year. It was sound advice. The book’s very title is a lesson in the importance of punctuation – how the placement of punctuation can change the entire meaning of a sentence. Is the Panda a hungry, gun-wielding psychopath, or simply a vegetarian with a penchant for shoots and leaves? Depending on where you place the comma, it’s entirely up to you. 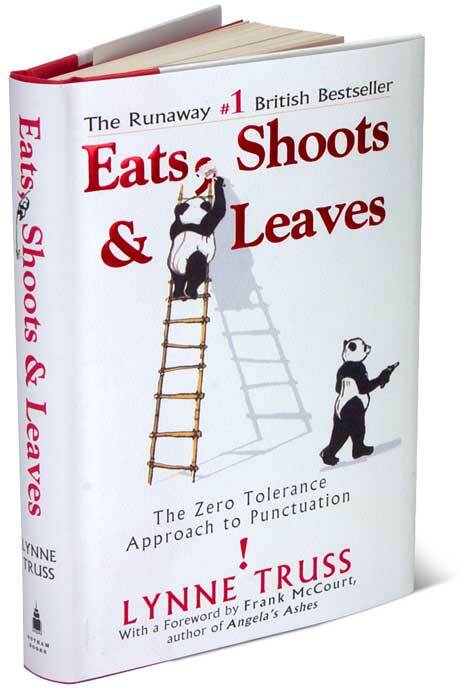 To this day, when I see a stray apostrophe, comma or semicolon, I feel like taking one of the trusty Panda Says No stickers from the back of the book and slapping it over the glaring mistake in front of me. Instead of doing that, I am adding this Grammar Watch feature to this blog. 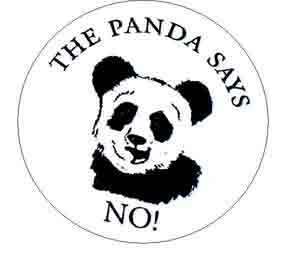 The Panda Says No and so does this writer. It’s time to name and shame. Please feel free to comment and share your own examples – it’s the only way they’ll learn. You may consider also a “Vocab Watch”, concerning words (typically lazily) used to mean things they don’t mean. For example, football commentators really should know that “crucial” means “decisive”, not merely “very important”. Good point, James – perhaps it may be a new feature to the blog at some point!